The pipe is placed at the base of the concrete slab, very close to the edge or even clipped onto the slab. The pipe is just under the finished ground level (FGL) or just below concrete or pavers. When a system is “charged” termiticide is pumped through the pipes at pressure, the termiticide is then released from the pipe in a controlled manner, and the surrounding soil absorbs the termiticide forming a barrier. This Reticulation System is ideal for new building work; it offers all the benefits of a chemical barrier with the simplicity of replenishing at any time in the future without destructive trenching. For more information about this termite protection system, please contact Best Termites Control or check this page from Pest Management Solutions Australia. Best Termites Control provides physical and chemical termites protection solutions in different areas of Melbourne (including Doncaster, Templestowe, Glen Waverley, Mt Waverley, and Dandenong). 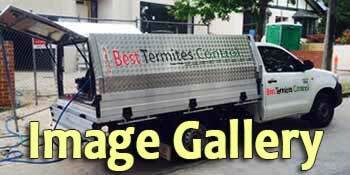 For more details or free quotes call us on 1800 780 820 or email plans to info@besttermitescontrol.com.au.